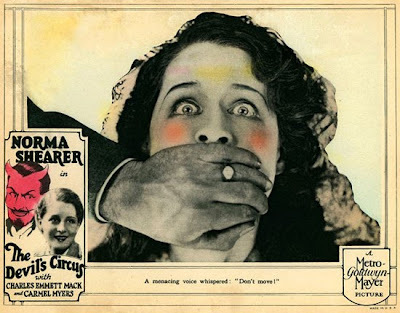 Me, I really don't have much use for Norma Shearer. I don't like most of her movies. I don't like a huge majority of her still photographs. Joan Crawford didn't like her either, but then Joan didn't like a lot of females. And Joan got stuck with some roles that Norma didn't want. 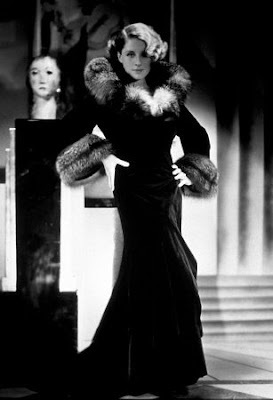 And Bette Davis called Joan Crawford "that mannequin from MGM." And both Bette and Joan had daughters who crucified them in tell-all books. And the Hollywood queen nastiness goes on and on. Anyway, I'm reading Hollywood Dreams Made Real: Irving Thalberg and the Rise of MGM by Mark A. Vieira, which is a pretty good read and features a lot of flattering photographs of Norma, because she was, of course, Mrs. Irving Thalberg. And great Hollywood photographers, like George Hurrell and Clarence Sinclair Bull, were somehow able to make Irving's wife presentable and even alluring. 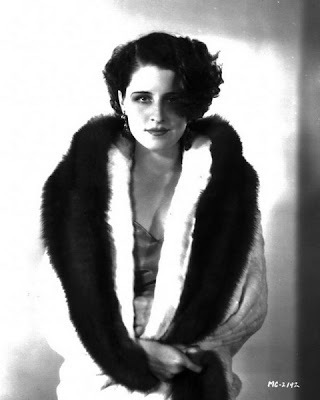 So here are a few Norma Shearer photographs that I dislike the least. And there are a ton more at Divas - The Site. People would nag you about getting it right? what you're really seeing is the makeup, the clothes, the fancy, deliberately distracting poses, the dramatic lighting...all that you know. You're not seeing the woman. What your seeing are simply the skills of the photographer...that would be me. You're welcome. Great post! Need to read that book you mentioned! well to counter what J.B. said if you take the woman out of the picture (since we're not seeing her anyway right?) and just leave all the other stuff he mentioned it would be a pretty dull picture dont you think? i wont get into a debate about Shearer's looks or talent but suffice it to say i think she was awesome and i enjoy a good many of her films, especially the pre-code ones. to say any plain jane could acheive her level of stardom simply by virtue of being married to the boss is ridiculous. if that were the case then why weren't ALL the moguls wives stars too? How come Anna Sten never became a huge star, she was primped and primed and publicized by Goldwyn like crazy but she didnt have the goods to back it up and she never struck a note with the public either. i'm just guessing but i highly doubt the average depression era movie-goer said to themselves, hey i better go plunk down my money on Norma's next film, i mean after all she IS Irving Thalberg's wife! and what's with all these sentence fragments, my. god. man! As far as frag men ted sentences, that's OK so long as the mind behind them remains whole...And you can access the benefit of my counsel through C. Parker, although there's a distinct possibility he may not answer your inquiry...J.B.